Are You Lost in the Marketing Maze? Three Simple Steps to a clear website strategy and a realistic roadmap to profitable leads. Our structured, tailored website audit and recommendations report is designed for businesses that want to make the most of their marketing budget and accelerate growth. We spend around two hours in a face-to-face meeting learning about your business and objectives using our detailed, structured questionnaire. We then carry out our website audit, and around two weeks later meet again to go through our findings and recommendations with you in another two-hour round-table discussion. An outline budget of the costs if you choose us to develop your website for you. Our report is substantial, full of valuable, easy-to-digest, no-fluff advice and comes with no obligation to work with us, but if you do the cost of the Website Review & Reboot will be deducted. If you like our approach, we can manage all the activities we recommend and operate as your website designers, developers and content managers. We can also provide the relevant training to enable you to manage your website efficiently yourself. The team at The Marketing Matrix made developing and launching a new website quite painless. We are out of the office at client sites a lot, so don’t have much time to spend collating information and content. 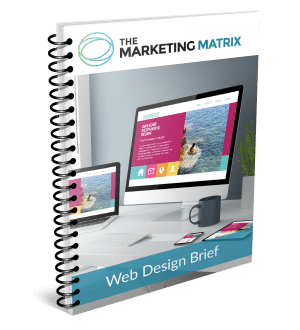 The Marketing Matrix created a template that meant it was easy for us to provide the information they needed, and they then wrote up the stories and selected and edited the best images. The result is that we not only have a website that looks amazing, but which works really well as a useful sales tool when we’re talking to new prospects. I really think it looks wonderful and is slick, professional and modern. It’s exactly what we needed. We are so confident that you will find the Website Review & Refresh process valuable and appreciate the recommendations it provides that we offer a 100% Satisfaction Guarantee. Please note our Website Review & Refreshand Marketing Review & Refresh services are charged in two installments. 50% is due in advance of our first meeting. The final 50% does not become due until we have had the second meeting and delivered the final strategy recommendation document to you.